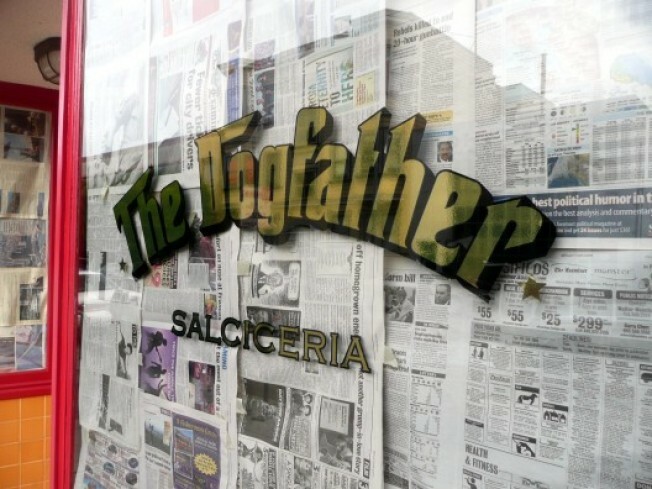 The Dogfather is coming to North Beach. Directly next door to Golden Boy Pizza, the space that last housed North Beach Lobster Shack has been dark for over a year now, but lo and behold, there's hot new action on Green Street. And there are mediocre puns involved too! The next inhabitant of 532 Green will take on the name of The Dogfather, and it's going to be a sausage/hot dog joint. Given that North Beach has a dearth of quick service options (not to mention hot dog joints), if The Dogfather tacks on some late night hours to give Golden Boy some competition and churns out some high-quality tubed meat, we could have something here.